In which G.M. Norton looks at the larger-than-life man behind Sir Lancelot Spratt. The Doctor series of films were regular fixtures on the Idiot's Lantern when I was a boy. 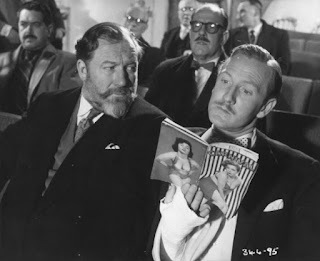 Leslie Phillips and Dirk Bogarde were fun characters but the one that really stood out was the actor described by the aforementioned Phillips as "a great bear with a bushy beard and beetle brows, who seemed to scare the pants off most people." Yes, that's right. 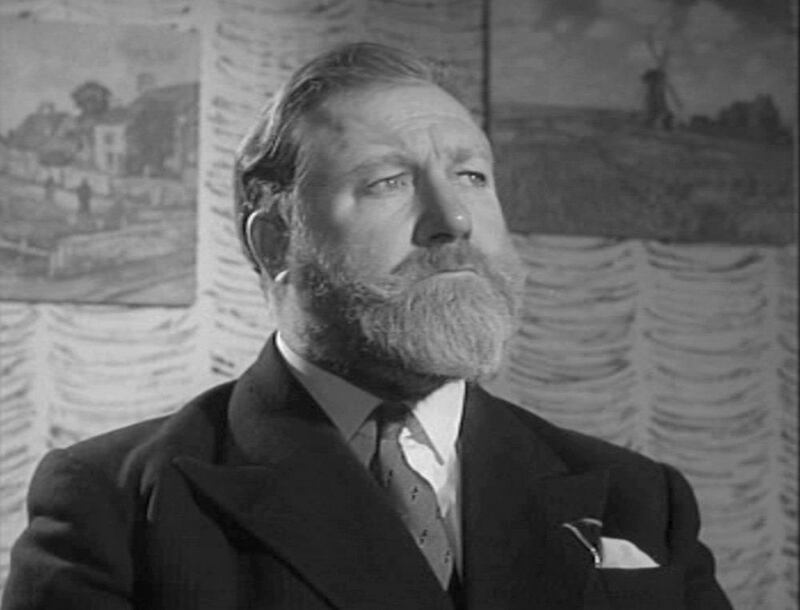 The one and only James Robertson Justice, who played demanding surgeon, Sir Lancelot Spratt in six feature films, plus Captain Hogg in Doctor at Sea (starring a young Brigitte Bardot, no less). A person, who shall remain nameless for reasons of mystery, whispered into my ear earlier this week. 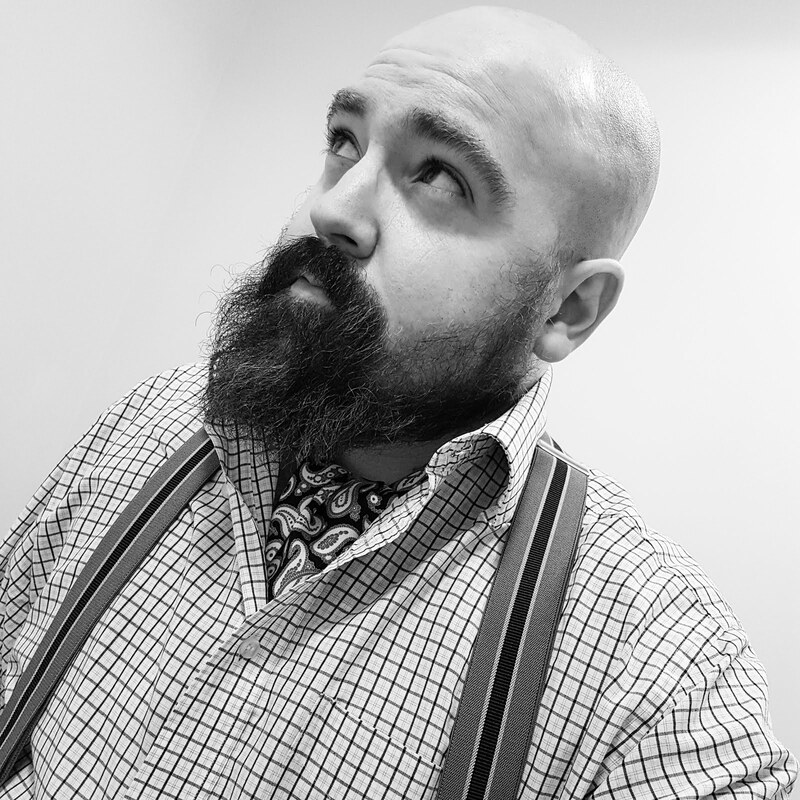 They suggested that I should change employment, and assume a longer name like "that bearded fantasist who was in all those films in the 50s and 60s." 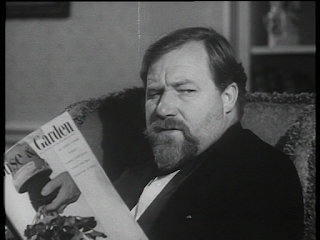 Of course, with such a detailed description, I immediately conjured up the image (and indeed, the bellowing voice) of James Robertson Justice. My suspicions were indeed correct. This led me to read up a little on the man, so I thought I would share my findings with you. His full name was James Norval Harald Robertson Justice - he added 'Robertson' himself, in an effort to appear more Scottish (he was born in London, but his father was originally from Aberdeen). Apparently, he was exceptional with his tongue and could speak as many as 20 languages. Before acting, he had an incredibly varied career which included being a journalist for the Reuters news agency alongside Bond creator, Sir Ian Fleming; teaching in Canada; playing professional ice hockey for the London Lions; racing motor cars; and finally, upholding the law as a policeman for the League of Nations in German, when the Nazis came to power. What an incredible curriculum vitae! He was quite the womaniser, with countless affairs during his first marriage. His second marriage took place just three days before he died. He adored Scotland and claimed to have been born there. He died penniless in London, having been forced to sell his Scottish home. His final resting place was in his beloved Scotland. There's no doubt about it, James Robertson Justice certainly had a remarkable life. So much so that I now quite fancy trying the biography 'What's the Bleeding Time?' by James Hogg. Perhaps Santa will be kind.